tangible value to the Singapore deep tech startup ecosystem in two key areas – Human Capital and Investment Capital. Three technology areas have been selected for focus during 2018: Artificial Intelligence, Blockchain and MedTech. Dragon AI and SingularityNET (Details of the partnerships are presented in the last section of the article). Tech Nexus Strategy,” he said. Blockchain and MedTech. Mr. Leonard said that AI and blockchain kept on coming up in conversations throughout the year. have horizontal applications to many industries. 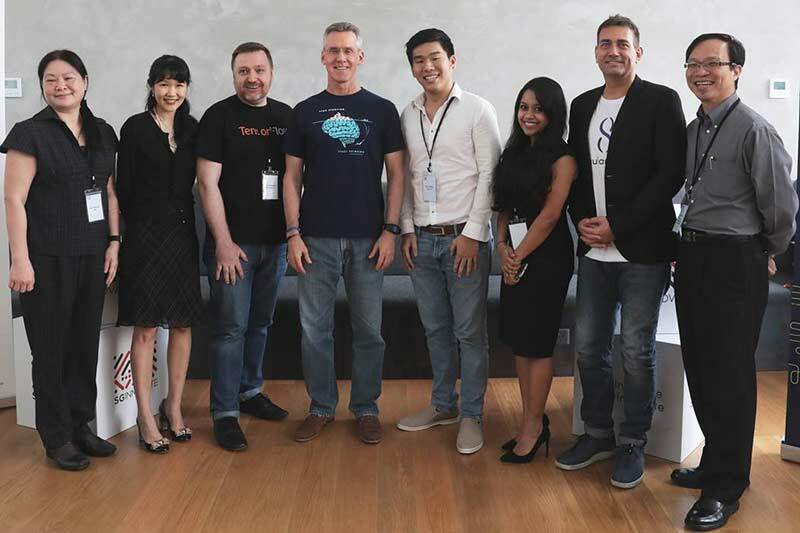 startups and corporates to enhance and expand Singapore&apos;s AI capabilities. SGInnovate will focus its efforts on the AI startups area. on a limited scale but the impact of success could be huge. a company which does A, B, C and D as demanded by an investor. participate in these programmes over the next two years. Singapore&apos;s promising deep technology startups. entrepreneurs and investors to share experiences on a wide range of topics. opportunities to get more people to know more about important future topics. throughout 2018 across various community meet-ups. sales, talent acquisition, technical advisory and more. programmes in areas relating to AI, and access to AI-tuned computing resources. the Entrepreneur First (EF) Singapore programme. real-world applications of AI and deep technologies. applying AI in real life. target of 10-12 events in 2018.
high performance storage with global connectivity at up to 100Gbps. implement these models as open-source code. learning. The goal is to train 1,000 developers over the next two years. advanced training sessions over the next year. reach out to a community of over 2,000 people.